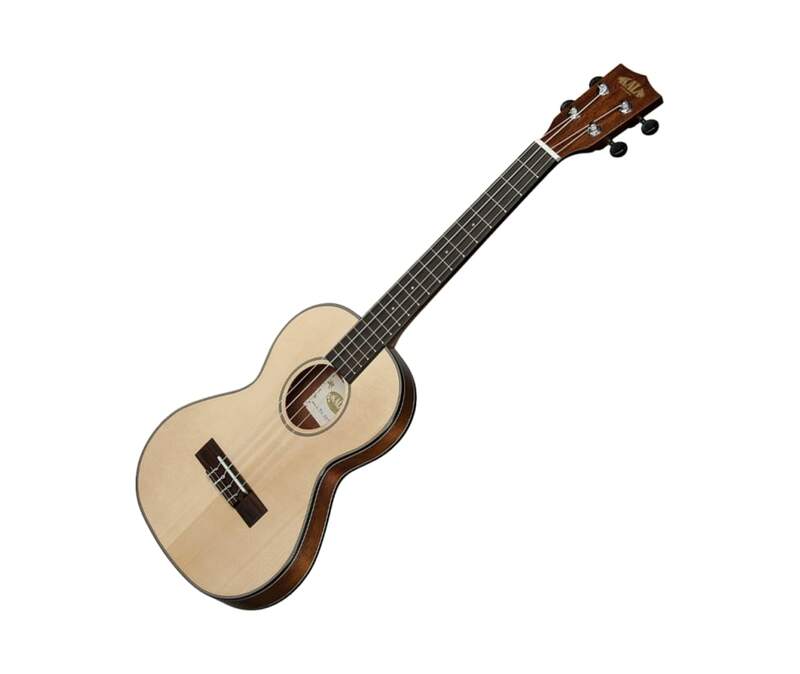 Kala's mahogany KA-SSTU-T Slim Tenor "Travel Uke" gives you the feel and sound of a fine tenor instrument, but its shallow body depth (ranging from 1-1/4" to 1-3/4") makes the KA-SSTU-T amazingly easy to transport and stow. This outstanding uke has a solid spruce top and a mahogany back and sides, for surprisingly full tone and projection. You also get high-quality chrome tuning machines with classy black buttons, elegant binding, and even an included gig bag.